Italian painter, draughtsman, collector, dealer and teacher. 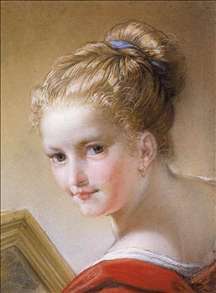 He was one of the most significant and influential artists active in Rome in the first quarter of the 18th century. The son of a Florentine artisan, he trained in his native city under the direction of Anton Domenico Gabbiani and thoroughly absorbed the style of Pietro da Cortona and his late Baroque successors. In 1690 he left Florence for Rome, where in 1692 he made his artistic dbut in the annual St Bartholomew s Day exhibition with a monumental painting of God Cursing Cain after the Murder of Abel (Kedleston Hall, Derbys). He quickly rose to prominence and in 1694 was elected to the Accademia di S Luca. He produced a variety of works for the leading Roman families - the Torri, Colonna, Pallavicini, Barberini and Odescalchi - and enjoyed the patronage of Pope Clement XI, Cardinal Pietro Ottoboni, Cardinal Carlo Agosto Fabbroni and Padre Antonin Cloche, Master General of the Dominican Order. He was invited to participate in the most important papal commission to painters in Rome in the first quarter of the 18th century, that for the series of Old Testament prophets above the nave arcade in S Giovanni in Laterano; his contribution was Isaiah (1718; in situ). With many of the same artists who painted for Pope Clement XI - Giuseppe Bartolomeo Chiari, Francesco Trevisani, Andrea Procaccini, Sebastiano Conca, Luigi Garzi - he was also involved in the major secular commission of the time in Rome, a series of ceilings in the Palazzo de Carolis (now the Banca di Roma), contributing an Allegory of Diana (c. 1720; in situ). In Florence he enjoyed the support of Grand Duke Cosimo III de Medici, and it was through his connection with the Tuscan court that his artistic reputation spread to France, England and Germany. 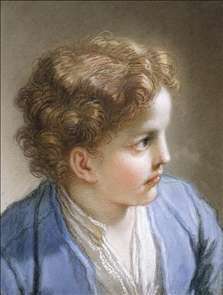 See more details about "Head of a Young Boy"
See more details about "Head of a Young Girl"